Parsons MFA Lighting Design Program has partnered with the U.S. Department of Energy through Pacific Northwest National Laboratories to undertake an evaluation of connected lighting systems through the Next Generation Lighting Systems program. 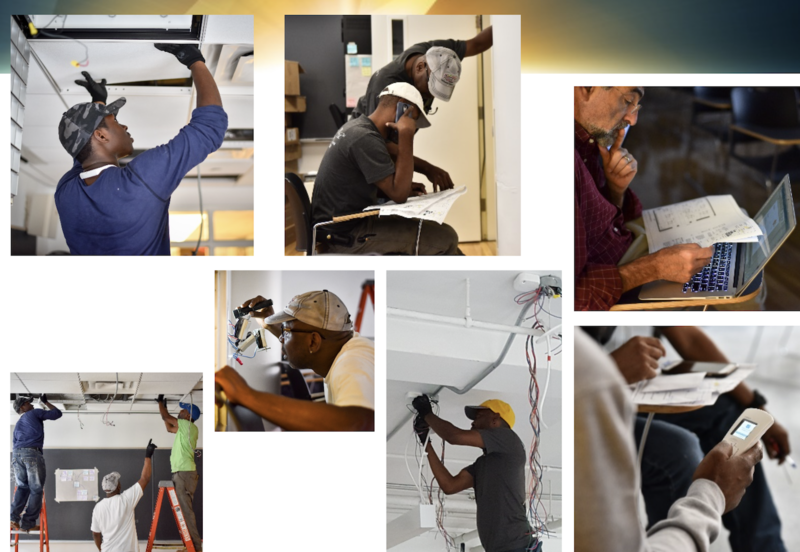 Seven different connected lighting systems were installed in seven classrooms on the New School campus in Manhattan, including four suspended lighting systems and three recessed lighting systems. Outfitted with wireless controls and daylighting and vacancy sensors, the installation and ongoing evaluation of these systems is an attempt to understand the issues involved in the design and specification, installation and commissioning, and ongoing user acceptance of these systems. Students in the MFA Lighting Design program, working with principal investigator, Dr. Craig Bernecker, were involved in the design and specification process, as well as the installation and assessment of these lighting systems, providing the students with unique hands-on experience with such systems.